Studio Condo with Queen Bed and Pullout Couch with kitchen. Will sleep 4 comfortably at a 5-Star Ski-in/Ski-out Timeshare Resort. 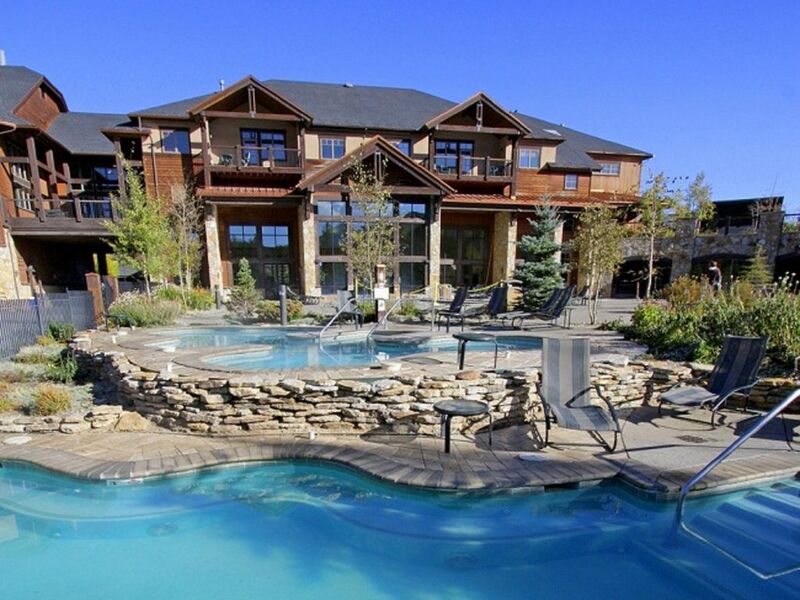 This is truly a ski-in, ski-out timeshare at Breckenridge with indoor parking, heated driveway, several pools/hot tubs for the entire family, workout room, restaurants and bars. Shuttle service to town, shopping, restaurants and other mountain range lifts if you don't want to ski in/ski out. The unit includes one queen bed and a top-of-the-line sleeper sofa, TV and DVD player, full bathroom and a well equipped kitchen with 2 burner stove, mini-fridge, mini-d/w, sink and all pots/pans and utensils. You can view all the details at the Grand Timber Lodge website. Grand Timber Lodge is a family-friendly luxury resort. It has an on-site ski rental and concierge in addition to most helpful activities coordinators. From the resort you can ski in and ski out to the Beaver Run High Speed Quad Chairlift and or the Snowflake lift at Breckenridge. This gives access to peaks 8 and 9. There is a Fitness Center and 4 hot tubs (both inside and outside) spread out among the resort so you are never far from a hot tub. The resort offers Massage Therapy on site as well as a concierge service to book all activities. They even have a full service bar and restaurant on site. It just doesn't get any better. Store your car in the underground heated parking garage when you arrive and the resort has a free personal shuttle service to take you anywhere you want to go in Breckenridge - Free of Charge!! No need to drive to dinner, the shuttle will take you and pick you up. Just give them a call!!! 24-hour Front Desk, 24-hour Security, ADA-compliant, Baggage Handling, Bar/Lounge, Childcare Services, Elevator, Full-service Business Center, Exercise Room, Playground and Spa on site. Renter must be over the age of 25. Once payment is received, Grand Timber Lodge will be notified that you will be using this week and they will reissue the paperwork for use with your name and details. Once your booking is confirmed there are NO CANCELLATIONS!